The airport of Santiago de Compostela (IATA code: SCQ, code ICAO: LEST) formerly also known as Lavacolla Airport, is a Spanish airport operated by Aena and located 16 kilometers from Santiago de Compostela, in the province of La Coruña. The airport is located in the municipalities of Santiago de Compostela, Boqueixón and El Pino. In 2015 it occupied the 16th place in the ranking of Spanish airports in relation to the number of passengers. The airport is located in the municipalities of Santiago de Compostela, Boqueixón and El Pino. In 2015 it occupied the 16th place in the ranking of Spanish airports in relation to the number of passengers.. 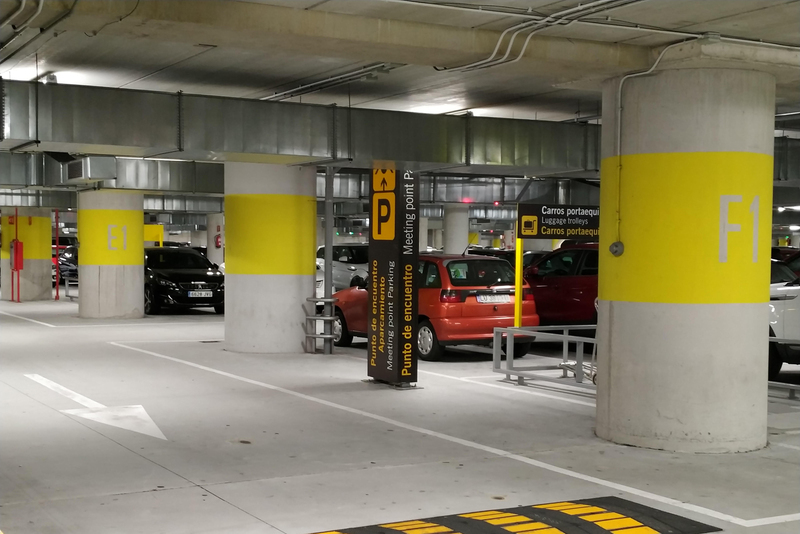 If you have booked a rental car with Drivalia, when you arrive at the Santiago airport, go to floor 1 (P1-Departures). Exit the terminal building and you will find the Drivalia courtesy shuttle bus that will be clearly identified with the Drivalia logo. The shuttle service runs regularly throughout the day taking clients to and from the office and so if there is no bus on arrival don´t worry, it will be with you soon. Our uniformed driver will take you to the Drivalia office in a short 3-minute drive to pick up your car. If you have made other plans, you can find more information about Santiago Airport Arrivals on the official Aena Aeropuertos website.